Why would I need self storage in Port Washington, NY? There are a variety of reasons why you might need self-storage in Port Washington, NY. How much is a storage unit in Port Washington, NY? The cheapest storage unit in Port Washington, NY is $169.00 per month. What size storage units do you have available in Port Washington, NY? In Port Washington, NY we have sizes that range from 5'x10' to 10'x20' to suit your storage needs. How much is it for a 5'x10' storage unit in Port Washington, NY? The cheapest 5'x10' storage unit in Port Washington, NY is $169.00 per month. 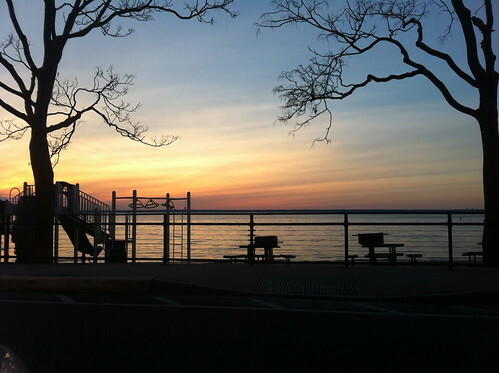 Port Washington is a cozy New York hamlet on Long Island's North Shore, just a stone's throw from Manhattan. Yacht clubs, golf courses, marinas and parks are generously sprinkled throughout the community, and Bar Beach is a favorite spot during the summer . As one of the most affluent communities in the region, Port Washington has a very high cost of living, but plenty of amenities to show for it. Named for George Washington, Port Washington was settled in the late 18th century. It began as an important location for sand mining, having the largest sandbank in the Eastern U.S. and convenient barge access to nearby Manhattan. More than 100 million cubic yards of sand from Port Washington can be found in the concrete of many of New York's most iconic buildings, including the Empire State Building and the Chrysler Building. Later, the community enjoyed a flourishing oyster-farming industry. As time went on and the railroad was built, Port Washington became a resort destination. In the 1920s, Port Washington was immortalized as the East Egg community in F. Scott Fitzgerald's famous novel "The Great Gatsby." Port Washington puts you close to all the conveniences and excitement of New York City but offers the quiet, relaxing lifestyle of a coastal village. Recreational opportunities are plentiful in Port Washington, ranging from a day at Bar Beach to a day trip into the city for shopping, dining and entertainment. Because it's long been a resort town, several golf courses, lush parks, yacht clubs and marinas dot the community, so you're never far from something fun. Your prospects of finding a job in the Port Washington area are good, since the town has an unemployment rate that's below the national average. It's not uncommon for locals to commute to Manhattan for work, especially since public transportation makes it so easily accessible. The Port Washington Union Free School District manages the public schools in Port Washington. There are also a variety of private schools in the community, including Montessori, faith-based and special needs campuses. Utilities: Major utility providers in Port Washington include PSEG Long Island, the Long Island Power Authority and the Port Washington Water District. Garbage and Recycling: The Port Washington Garbage District is responsible for trash, recyclables and yard waste collection. You can generally expect three pick-ups a week. Transportation: Both the Long Island Rail Road and the Nassau Inter-County Express operate routes through Port Washington. Port Washington's housing market is extremely expensive, with home values climbing above the million-dollar mark. The median home price is about four times the national average and is expected to continue increasing. It's a very desirable community with a high per-capita income, which drives home values sky-high. However, many of the homes are very modern or beautifully renovated, so they likely are well worth the cost. Our lowest priced units in Port Washington, NY average $231.00 per month. 54 people have reserved units in Port Washington, NY in the past 30 days. There are 2 locations within Port Washington, NY's city limits. There are 2 locations in Port Washington, NY that offer AC and Heating features.